Hello. 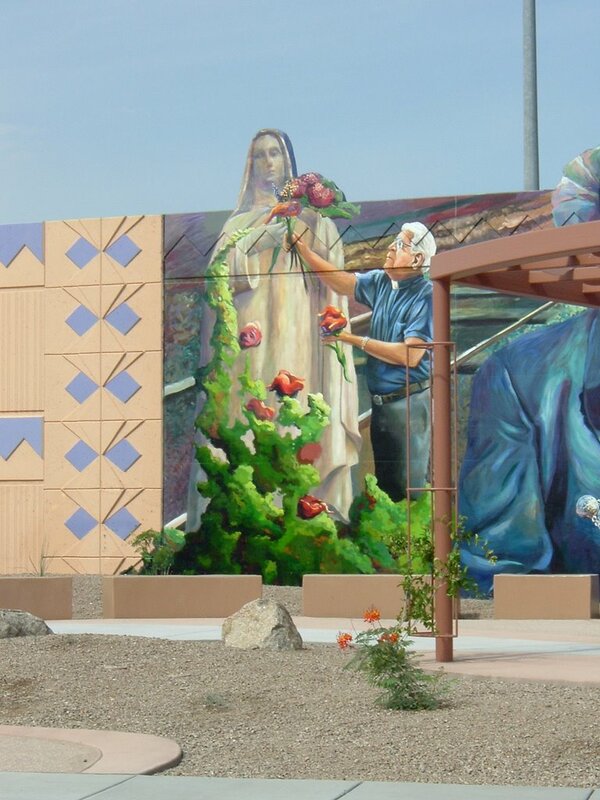 These murals were painted by Joshua Sarantitis and William Wilson as part of the Barrio Anita Mural Project. You can learn more about the artists at hzgstudio.org. Thanks! 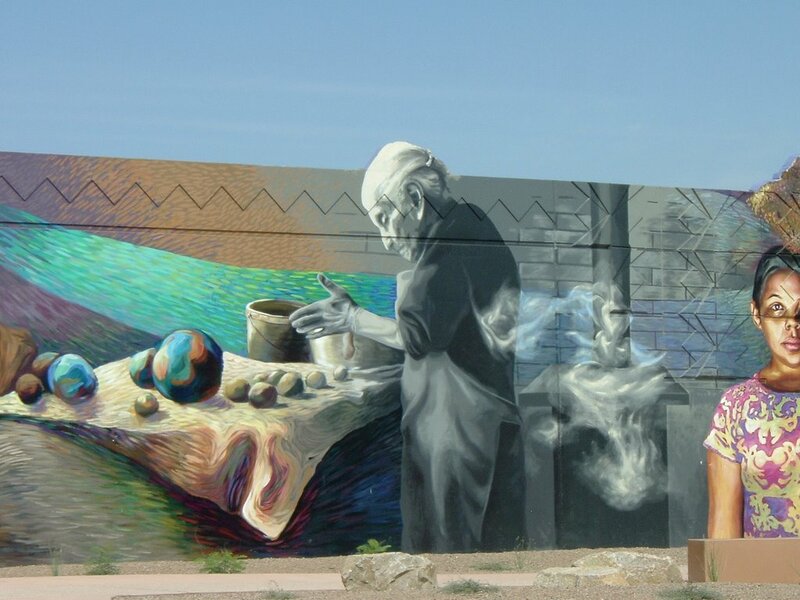 Great idea to feature Tucson's murals-- expecially David Tineo's work. I love your blog. 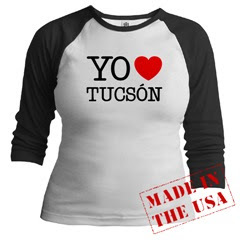 I also discuss life and art in Tucson on by blog. Eva... I just found this post of yours from six years ago. 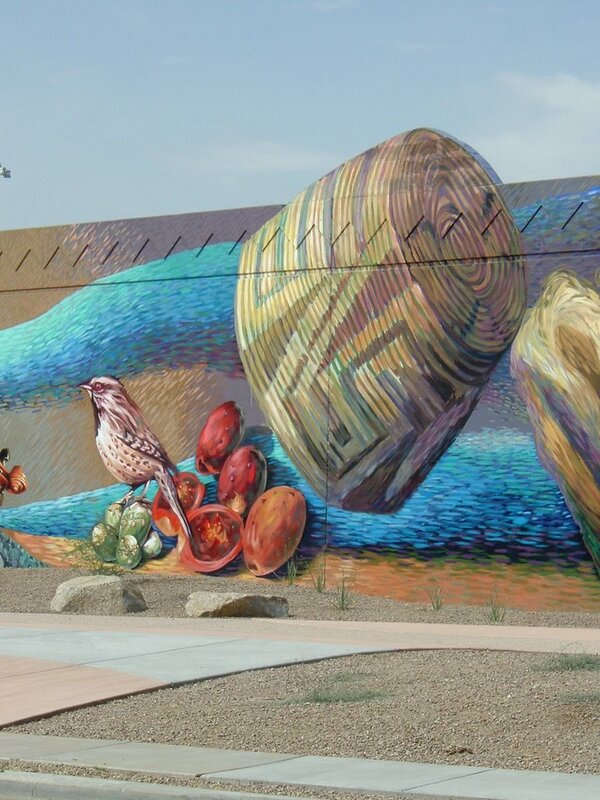 You wrote that you'd like to post a comprehensive list of murals. 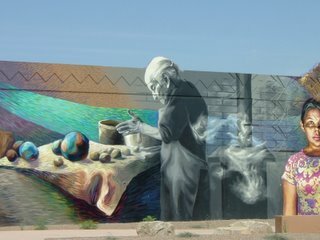 Just by chance, around that date was when Randy Garsee started the Tucson Murals Project (tucsonmurals.blogspot.com). I joined him a year later. 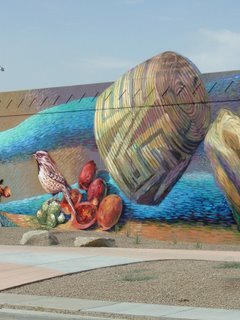 Since then, he and I have posted photos of more than 600 Tucson murals. As you can guess, there hundreds more! 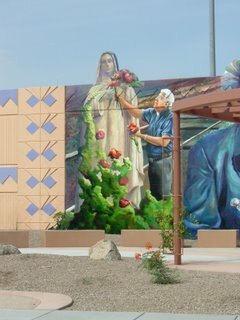 I've been hoping to go back and find the artists who made each mural. But I haven't gotten much time for that. If you know some of the artists and the stories, I'd be glad to update the blog or whatever seems right..